I am still alive and kicking. Why do I say that? It is because I have been in the office all week and my staff has not murdered me, yet. Also, I have been moaning and groaning the last 18 hours as the IRS issued three documents of 184 pages, 14 pages, and two pages respectively related to an important part of the Tax Cut and Jobs Act, which was 11,000+ pages itself. This part called IRC §199A relates to the “20 Business Deduction on Past-Through Entities and the Self-Employed. It’s the most difficult new law that I have seen in the past twenty years that affects the majority of taxpayers. Sure, there are many complicated issues in the 9000+ code sections (not to mention regulations, court cases, and other rules) that are difficult (which is the reason that I take 80-100 hours of continuing education every year). However, this section has so many ins and outs that it is very complicated. I do have to say that the hardest part of this section relates to those that have “qualified business income” (which has its own complicated set of rules) over specific income levels. There are several separate calculations for these returns and more “if this, then this” scenarios. They also further defined/confuse/pigeon hold the different types of business and where they fall into the overall scheme of things. On top of all of this, they took away some of the loopholes we saw in the original law. 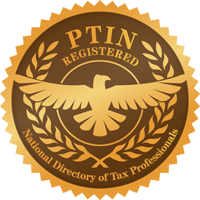 As a point of full disclosure, many of us in the tax professional community, who are really tax nerds, knew that there would change and it happened. What I am trying to get across to all my faithful readers, be very mindful if you read anything related to this topic on the internet/social media, the newspapers and other media outlets. Do not rely on the opinions of those outside of the tax profession. You cannot get a full sense what all of this means from a paragraph or two, as it’s so complicated. If you are self-employed, an owner of an S-corp (or a member of an LLC taxed as an S-corp) or a partner in a partnership (or a member of an LLC taxed as a partnership), be cautious if you are going to try this alone. It is not for the weak of heart.